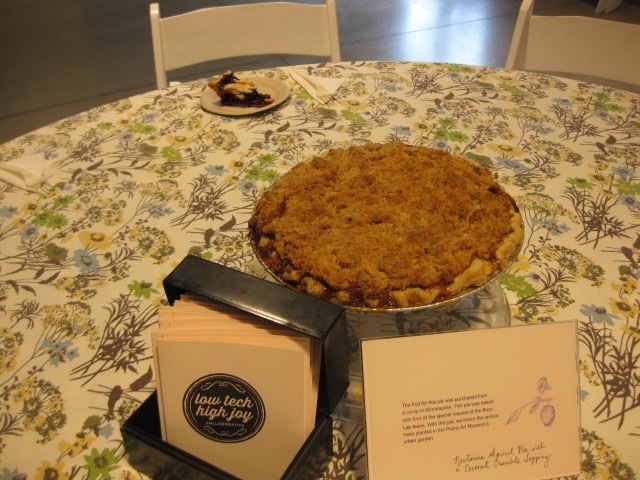 Here’s a few remnants of last week’s Pie Project Fargo, where we served pie and conversation to visitors at The Plains Art Museum. 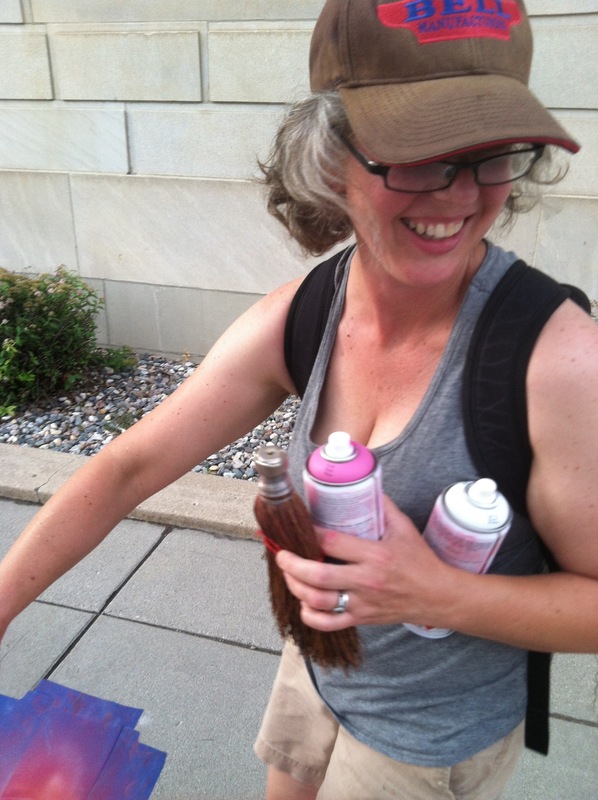 We stenciled the sidewalks of downtown Fargo with a washable spray paint, leading folks from the local art fair to us. 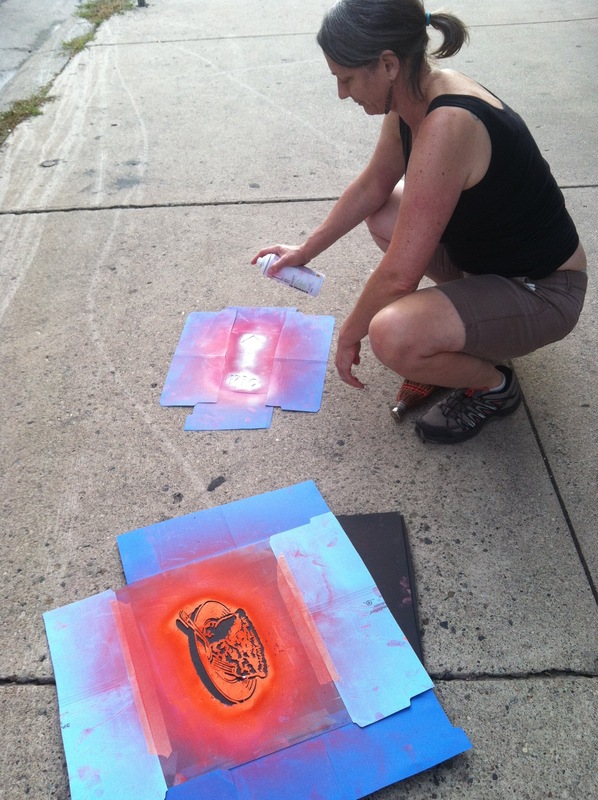 The stencils will fade away after a few good rainfalls. We served ten pies over the course of an afternoon, inviting people to sit together at a large round table and have leisurely conversations. 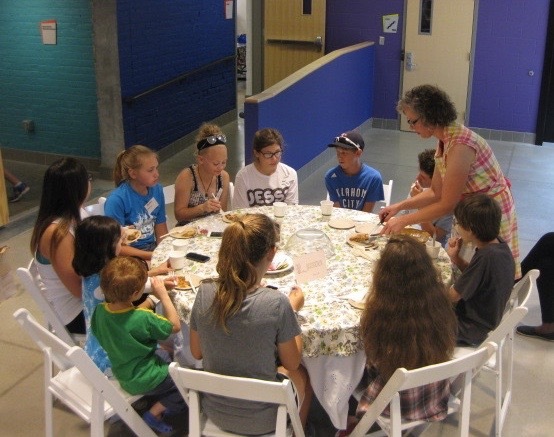 We met artists, educators, researchers, thrift shoppers,two chefs and one rancher. 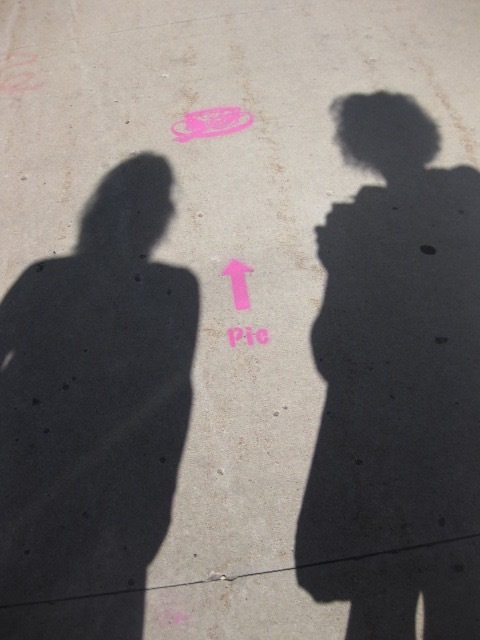 We discussed pemmican, pie dough recipes and techniques, doilies, local theatre for teens, mincemeat, the dissolution of community meals at cattle brandings, and the ephemeral nature of our collaborative’s artistic practice. 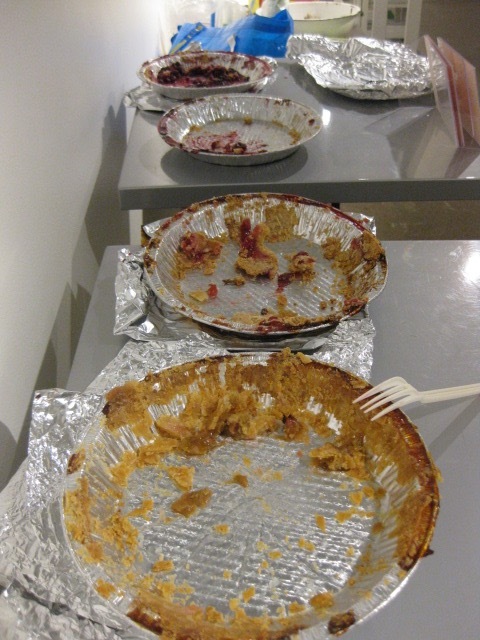 Gratitude for everyone who took a seat with us and carved out some time to talk over pie. We love you, Fargo. 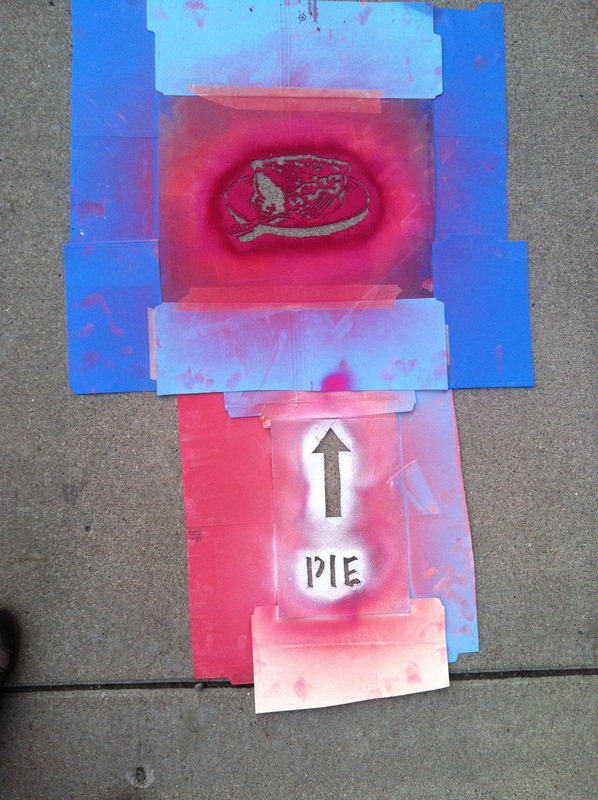 This entry was posted in Uncategorized and tagged Pie Project, pie project Fargo, Plains Art Museum, social practice, stencils. Bookmark the permalink.